It is always fun to discover a brand that is so dedicated and sincere towards what it does. 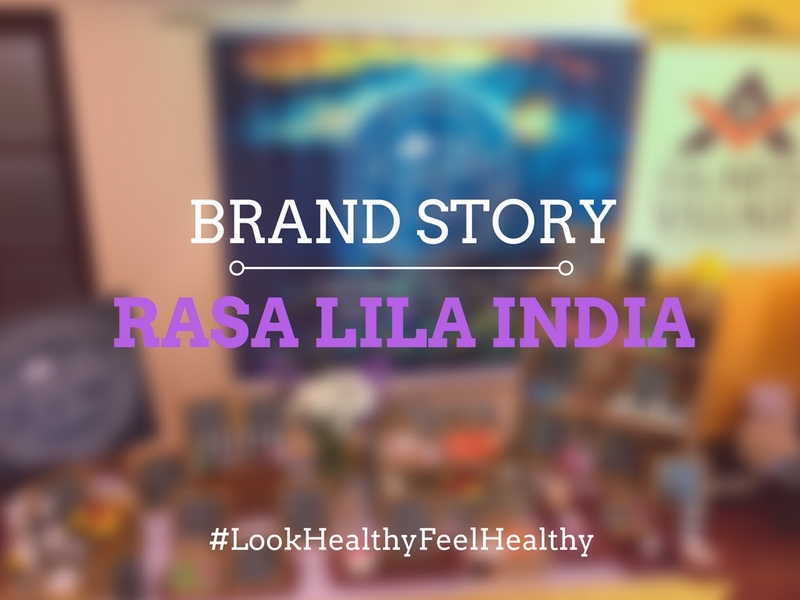 The series primarily focuses on green beauty brands, and today we are bringing to our readers, the story of Rasa Lila India. Rasa Lila was born after a lifetime affair of consciously choosing to create an Eco-friendly sustainable lifestyle for all of us that need not be difficult or expensive. Much power to the tradition of Pre-Cycling (creating minimal to zero waste, where recycling won't be required) & understanding that natural products are simple and harmless because Nature is simple, serene & beautiful . Our philosophy itself begins from formulating products that do not harm the environment, whether in their production, use or disposal. We focus on products that when in use, help conserve energy, minimize carbon footprint or the emission of greenhouse gasses and do not lead to substantial toxicity or pollution to the environment. Rasa Lila India products are biodegradable, recyclable or compostable. Hence, they do not harm the environment or upset the ecological balance when they are disposed off. Going green is the new "swag"! It is a smarter way to meet your daily needs, and now that "Our mad for nature" minds and products are a year old, we're hoping to make wilder formulations. I had been facing terrible hair fall from past few months and I desperately needed something to tackle my hair fall woes. 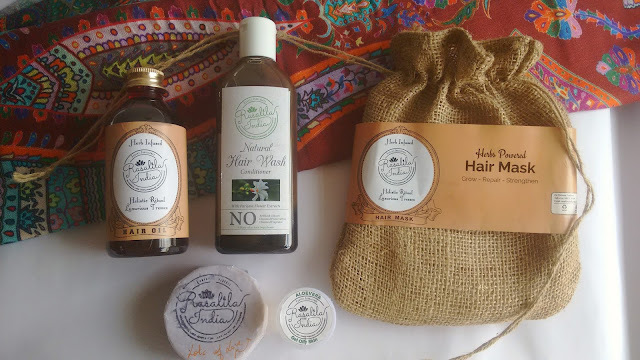 Recently, I purchased Hair Intensive Therapy (hair mask + hair oil), Hair Wash, and a Handmade Soap from Ras Lila India. I had requested the brand to send a sample of their aloe vera gel which they happily did. I have been using the soap, hair oil and hair wash for a while and I can confidently say that the handmade soap is one of the best soaps I have used so far. It smells refreshingly of lime with a hint of mandarin and it instantly makes the bathing experience a refreshing one. I will be doing an in-depth review for all the products pretty soon, so stay tuned. As for the packaging, products like gels, hair wash, body wash come in plastic jars and bottles. Whereas, the hair mask comes in a plastic pouch with an outer packaging of a jute bag which looks very classy. To place orders, you may check out brand's Facebook page HERE, or WhatsApp the brand on +91-9483525784. The brand uses DTDC and FedEx to deliver packages across India. Deliveries in Bangalore are done by the staff employed by the brand. Products are dispatched within 48 hours of receiving the payment. Since I am in love with their handmade soap, it's anything but obvious that I will recommend the product to our readers. Priced at INR 200 for 100 gm, the soap is made using skin-loving oils and butters, and contains no harsh chemicals or fillers, which is a huge plus. I hope you guys enjoyed reading about my new discovery. I am pumped to review the products, so keep your eyes peeled to our social media accounts for further updates.